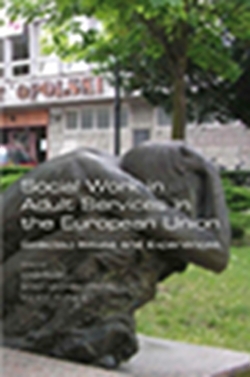 n a wide-ranging series of papers, researchers from Poland, Slovakia and the Czech Republic and from the UK, Denmark and Germany offer perspectives on social work interventions in adult services in the European Union. Topics include: adult care policies in Europe and the UK, including personalisation, end-of-life care, care homes for older people, drug abuse, Roma people, care leavers and foster care recruitment and management, people with disabilities, homelessness and unemployment, multi-problem families and universities of the Third Age. The papers draw on research and practice in a wide range of social work agencies in many different European countries. The papers are from a conference organised by Opole University, Poland of participants in an EU Leonardo da Vinci programme. The volume is edited by: Professor Jozefa Bragiel and Dr Iwona Dabrowska-Jablonska (Faculty of Pedagogical Sciences, Opole University, Poland) and Professor Malcolm Payne (St Christopher's Hospice, and Kingston University, UK, and Opole University, Poland).